It does not violate Twitter’s rules against abuse to wish death upon National Rifle Association (NRA) spokeswoman Dana Loesch’s children, Twitter ruled Sunday evening. 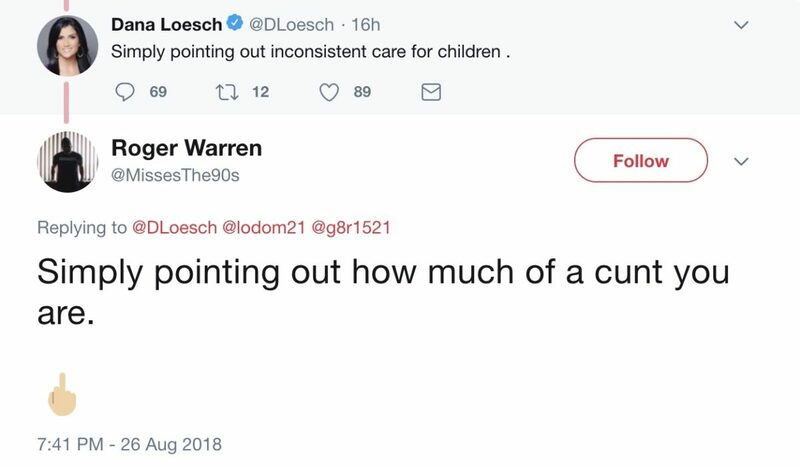 But when Loesch’s husband Chris reported the tweet wishing death upon their children, Twitter initially ruled in favor of Legius. “We have reviewed your report carefully and found that there was no violation of the Twitter Rules against abusive behavior,” Twitter wrote in an email that Chris shared with The Daily Caller News Foundation. Following the backlash, Twitter reversed course. “We have re-reviewed the account you reported and have locked it because we found it to be in violation of the Twitter Rules,” Twitter wrote in an email to Chris Loesch, who shared it with TheDCNF. “If the account owner complies with our requested actions and stated policies, the account will be unlocked,” Twitter wrote in the email.